Search marketing in the MENA region is growing at an increasingly fast pace. Millions of people across the globe use the internet every day to communicate, shop, learn and interact. This has created unlimited opportunities for people who want to do business online. At the same time, search marketing in Arabic faces a significant challenge because most, if not all primary studies, research and information on this vital topic is created in English. RBBi, Middle East’s first truly user-centric, data-driven agency conducted a detailed study on the use of Arabic language online in an effort to solve the digital challenges faced by business today. Understandably, most people want to use their own language when using the internet. Studies show that around 88% of online shoppers prefer to buy products using their native language, so it’s crucial for businesses operating at an international level to provide a native language experience for their customers. 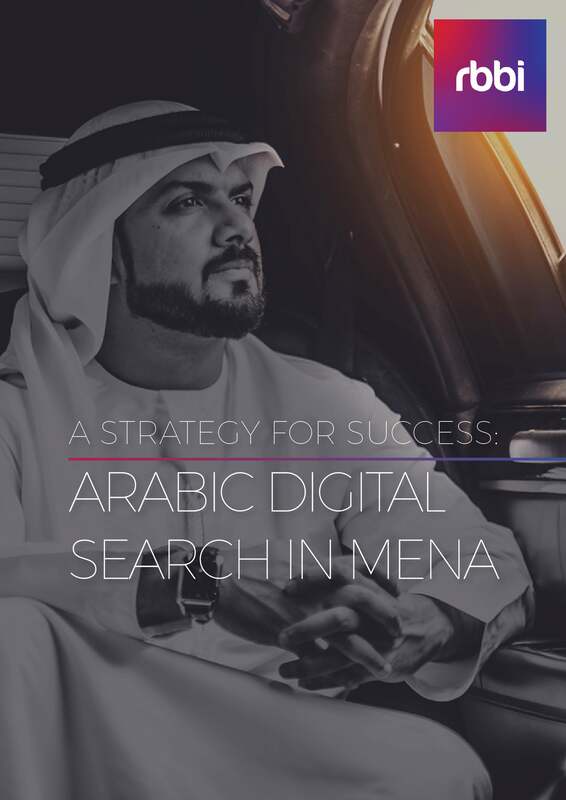 RBBi's white paper on Arabic digital search. Image credit: RBBi. The past decade has seen a monumental rise in the numbers of Arabic-speaking people getting online. 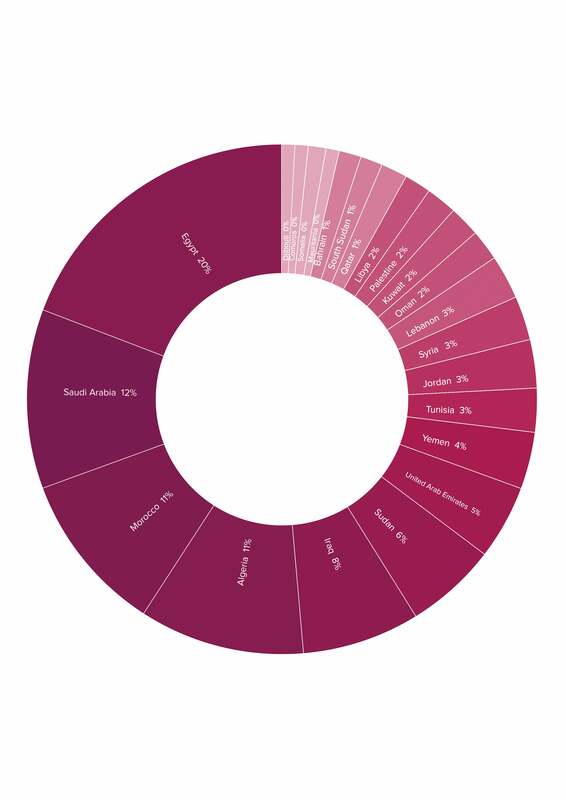 Egypt alone represents 20% of the online Arabic audience, while KSA holds 12% and the GCC countries together make up 22%. With the ubiquity of smartphones, most people now use search engines to find what they are looking for, making it essential for businesses to create an effective digital marketing campaign in Arabic. With Google dominating 97% of the market share in Arab countries, being visible in customers’ native language is absolutely vital. Arabic is one of the most widely spoken languages in the world, and with a 41.7% internet penetration, targeting this audience is a smart move. Unlike the English/European markets, the online Arabic audience is still young and developing, with its most significant advantage being the low competition and the vast amounts of high-quality data available. Domain names, web server configurations, URL structure, page layout and the translation of content by a native Arabic speaker are a few areas to name that need careful consideration when developing an Arabic version of a website. Never use auto-translation tools. Poor quality translation leads to high bounce rates, making it essential for native Arabic speakers to translate content. Spaces need to be included between the coordination and the word so that search engines consider this as a new word. As with any other language, it is important to watch out for words that carry the same meaning in Arabic as this will influence the size of the audience you reach and ultimately the amount of traffic you receive to your website. Words with Hamza need to be carefully considered in paid campaigns. Arabic speakers don’t include Hamza when searching online; highlighting the importance of the use of both variations. Use an online Arabic spoken language like Arabizi when targeting the specific audience, especially the youth. This new language allowed Arabic speakers to communicate at a time when their computers or phones didn’t support Arabic letters. Arabizi allows people to type Arabic words using Latin letters and because there are Arabic words that don’t have counterparts in the Roman alphabet, users started to use numbers instead. Targeting people using Arabizi can be an extremely smart strategy, as there is little to no competition in this area. A snapshot from RBBi's white paper on Arabic digital search. Image credit: RBBi. Companies looking to extend their internet reach into Arabic, need to invest first and foremost in the right people to deliver content in an engaging manner that is accurate in translation and thus primed for SEO. Having a full Arabic version of a website can help businesses grow their Arabic speaking audience online. Optimizing the site for search including finding the right keywords will then maximize the results businesses can expect to achieve. Selecting words that have a high monthly search volume can make a significant difference in the number of people you can expect to reach. 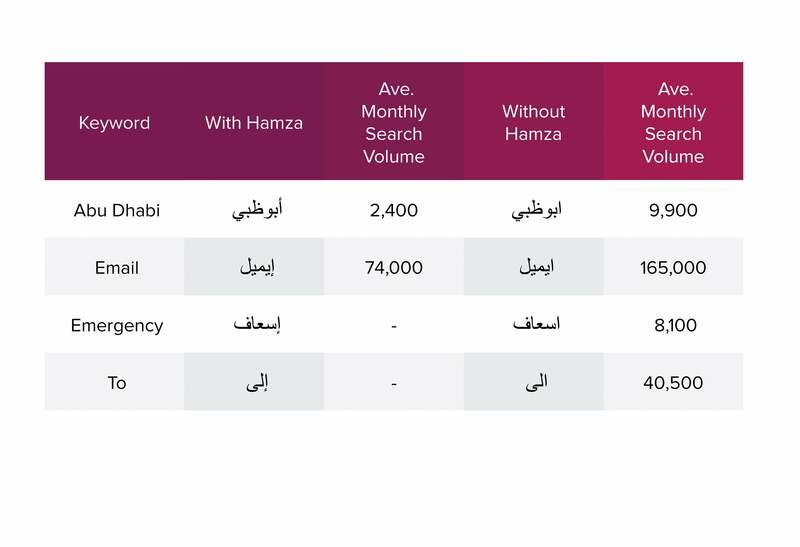 For example, keyword research for a Saudi e-commerce site was conducted and showed that by changing the words used in the navigation expanded the potential audience by 375%. This qualified traffic can turn into potential new customers. A language and cultural content strategy needs to be a fundamental part of any digital marketing strategy. Language translation and SEO optimization provide a significant option for businesses to do this efficiently and accurately to ensure that they are fully engaging with customers with culturally relevant messages. RBBi’s research study reports the importance of targeting Arabic speakers by providing high-quality local language content and intelligent optimization that will yield better results year on year. By ensuring content is personalized, businesses can gain a competitive edge and are able to quickly adapt to business growth and evolving customer needs. To access RBBi's recent whitepaper A Strategy For Success: Arabic Digital Marketing In MENA, and for more insights on digital marketing, visit http://rbbideas.com/white-papers/ .